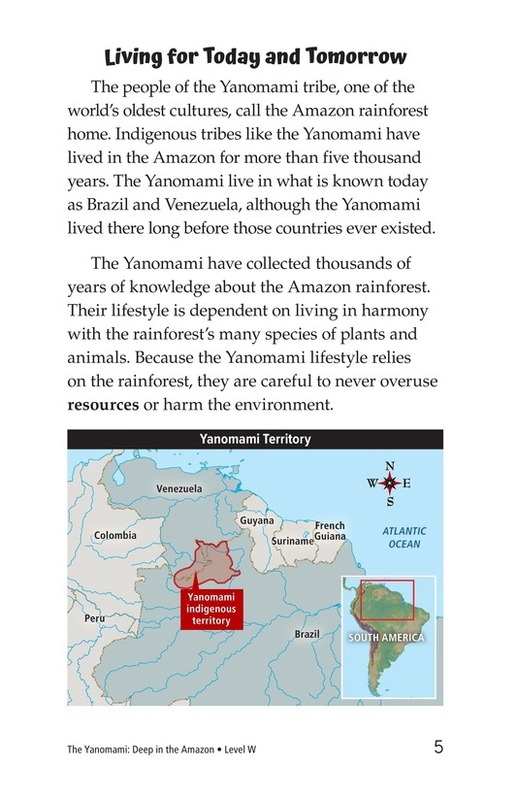 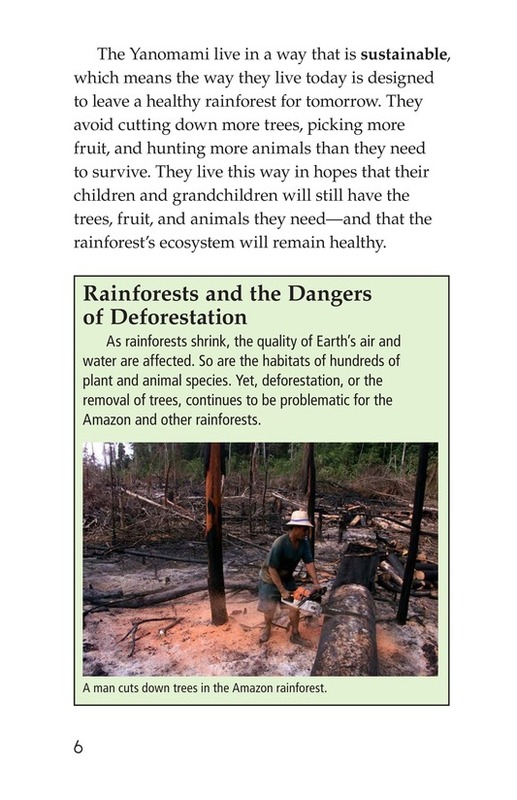 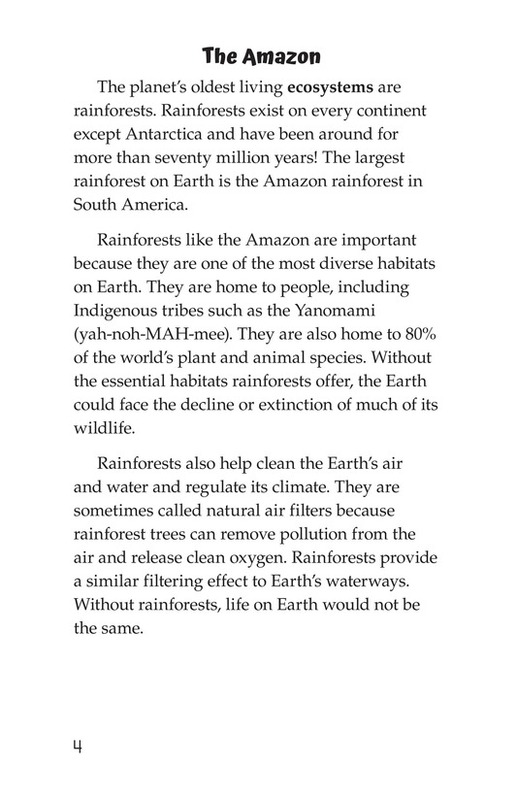 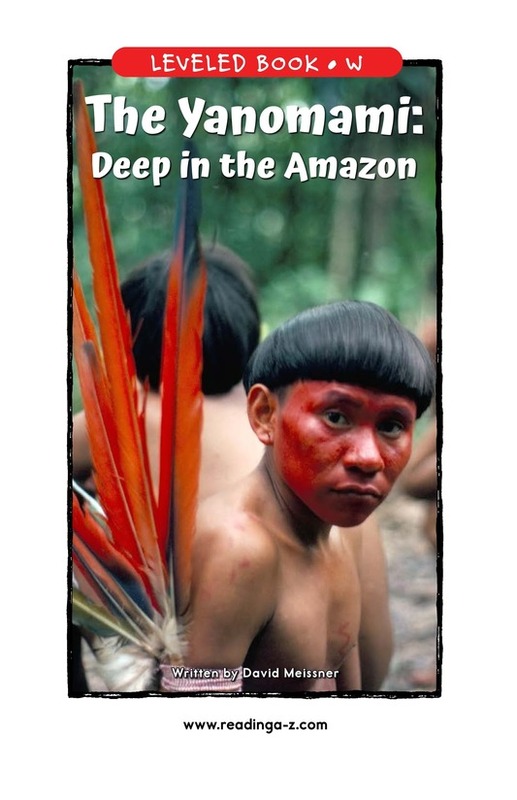 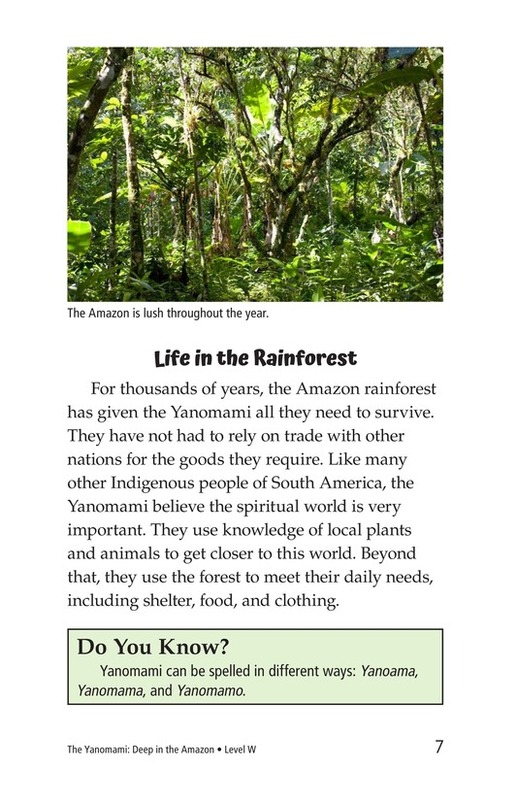 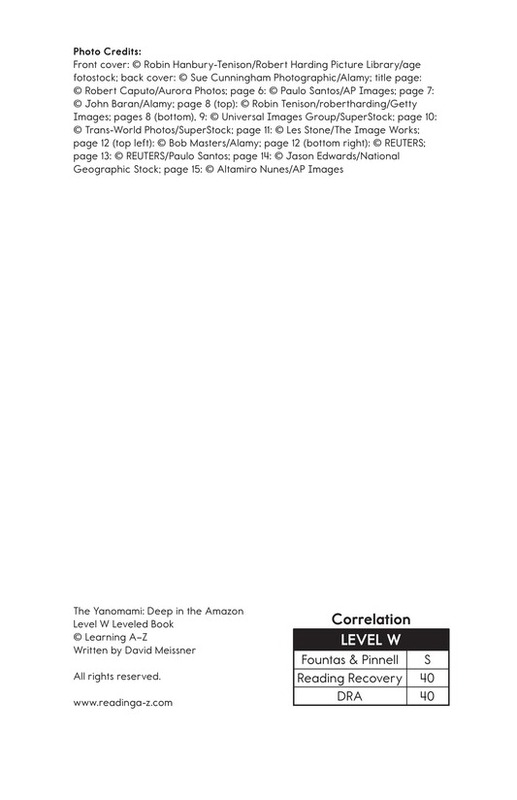 The Yanomami: Deep in the Amazon is a factual text about the Yanomami people who live in the Amazon. 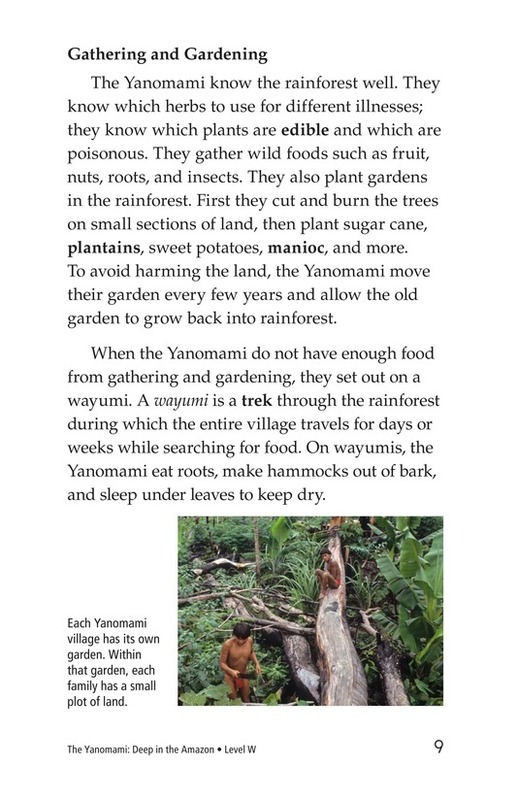 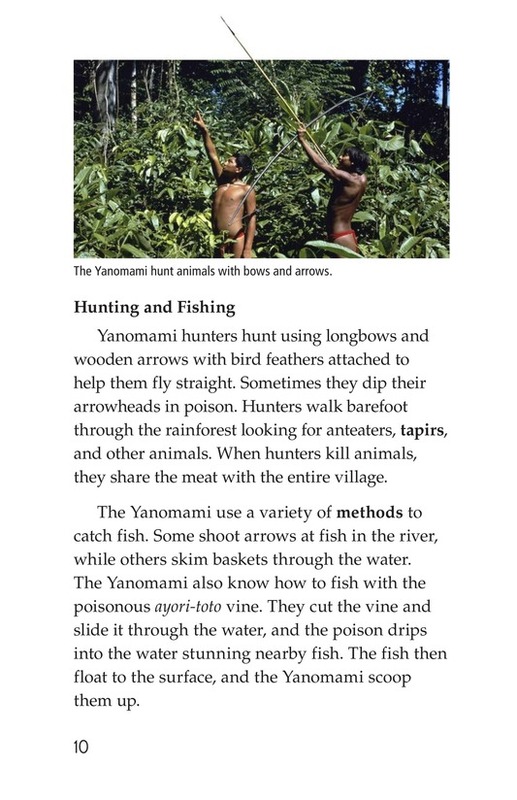 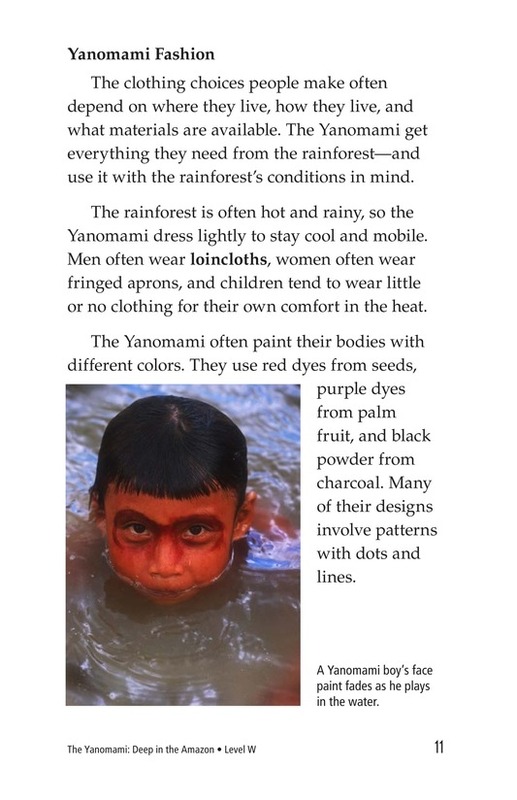 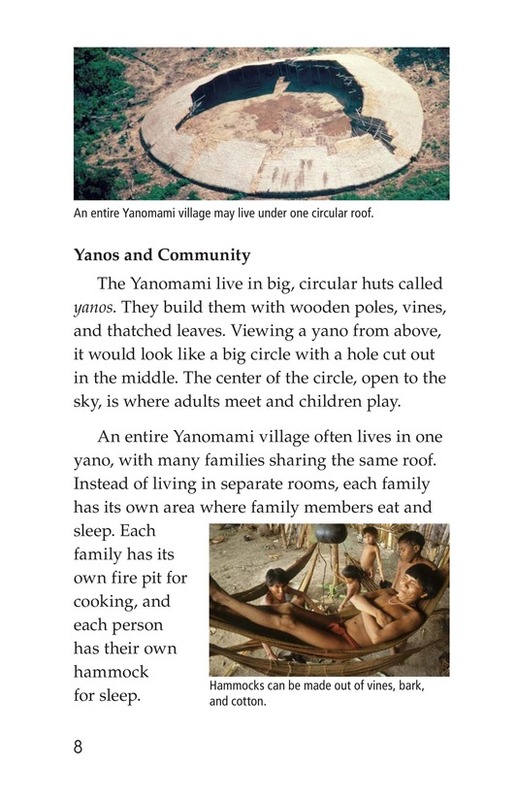 The book describes Yanomami traditional ways of life, including what they eat, how they hunt, what they wear, and how they build their houses. 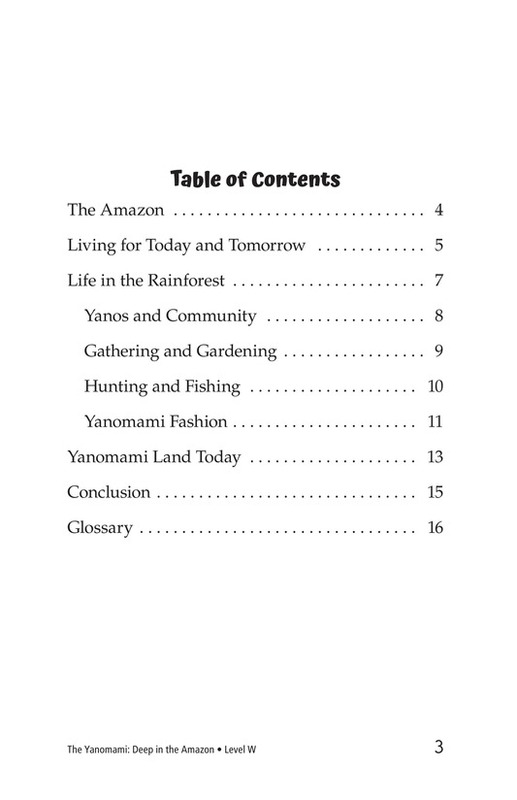 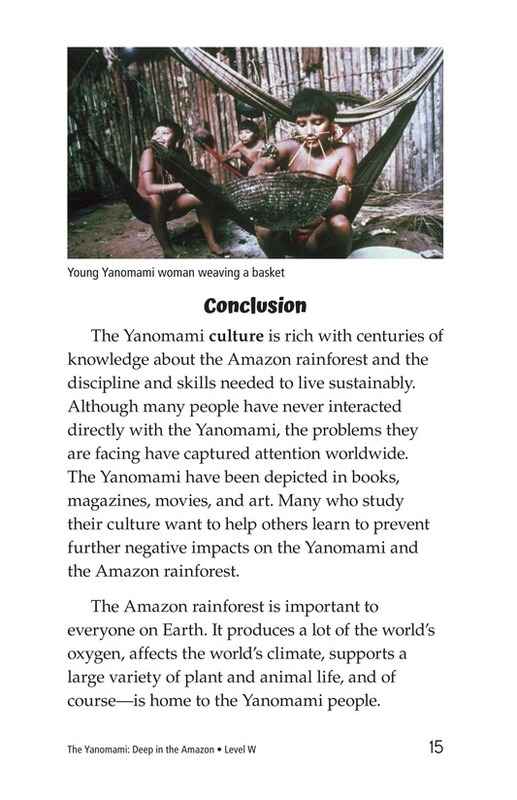 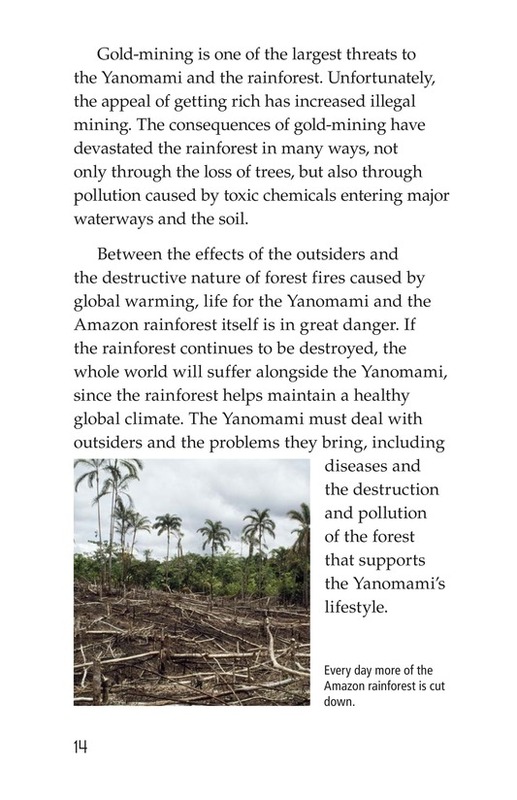 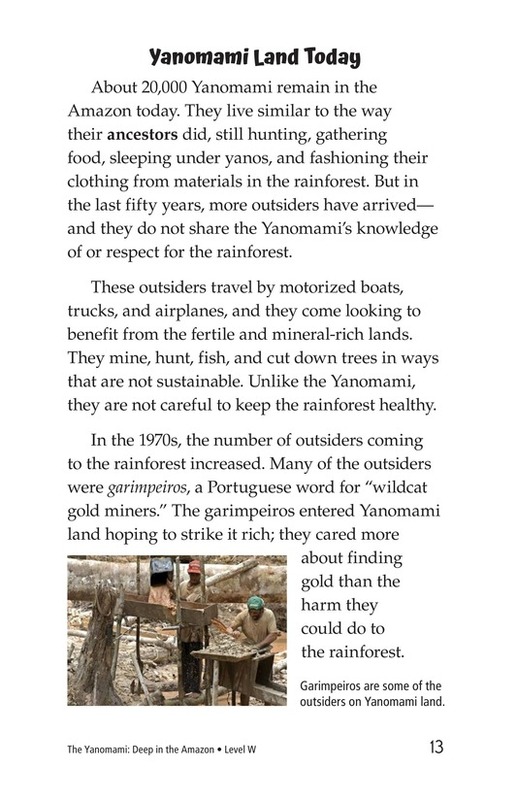 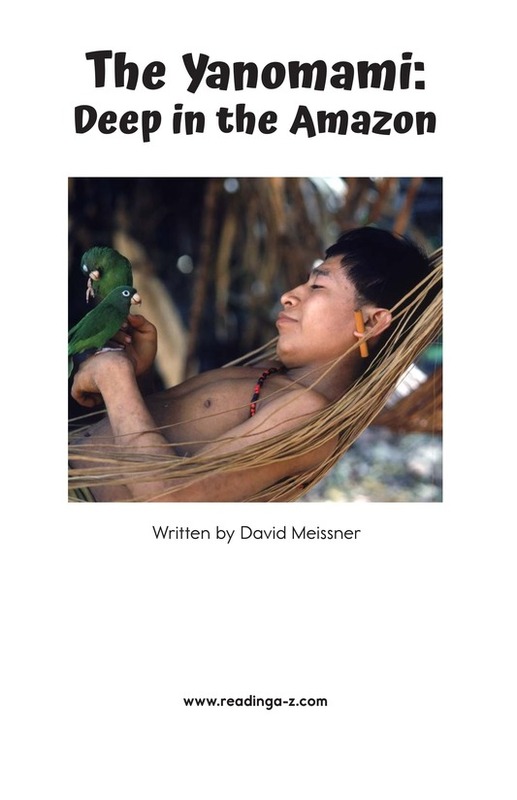 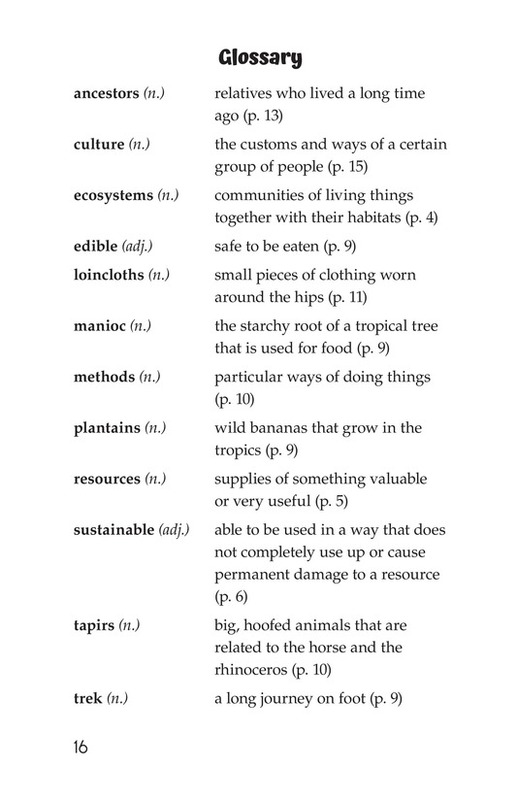 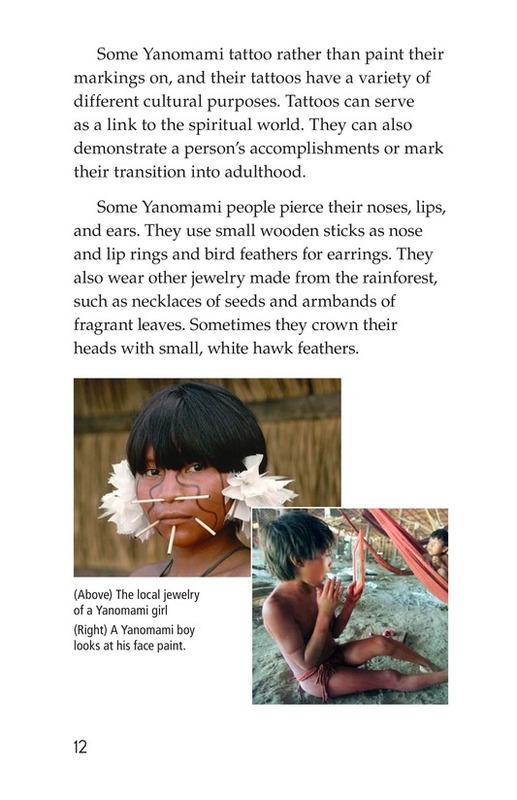 Also included is a section on how outsiders are changing the Yanomami way of life.